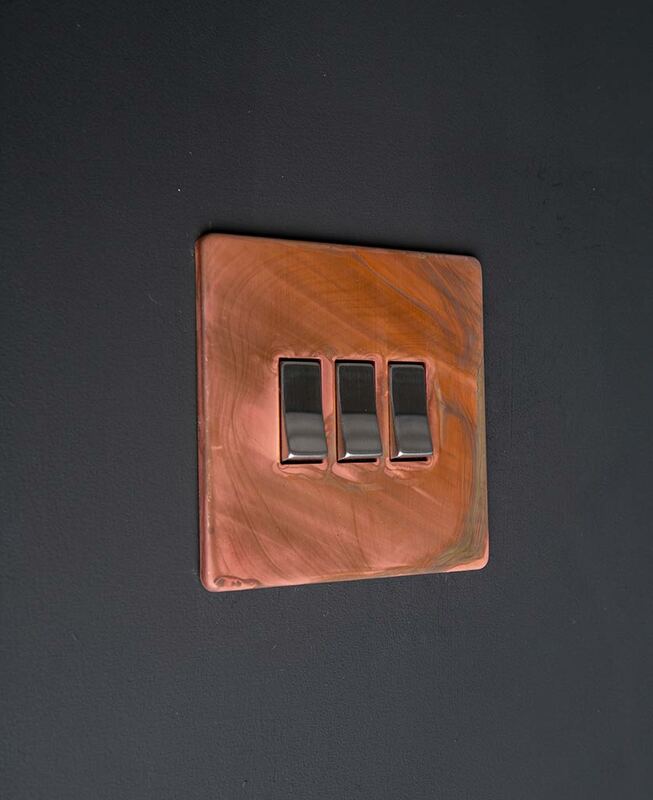 If you’re looking something that makes your interiors stand out from the crowd, let me introduce you to our copper triple rocker switch. This beautifully tarnished switch has an authentically distressed finish that’s perfect for adding an industrial vibe to your spaces. 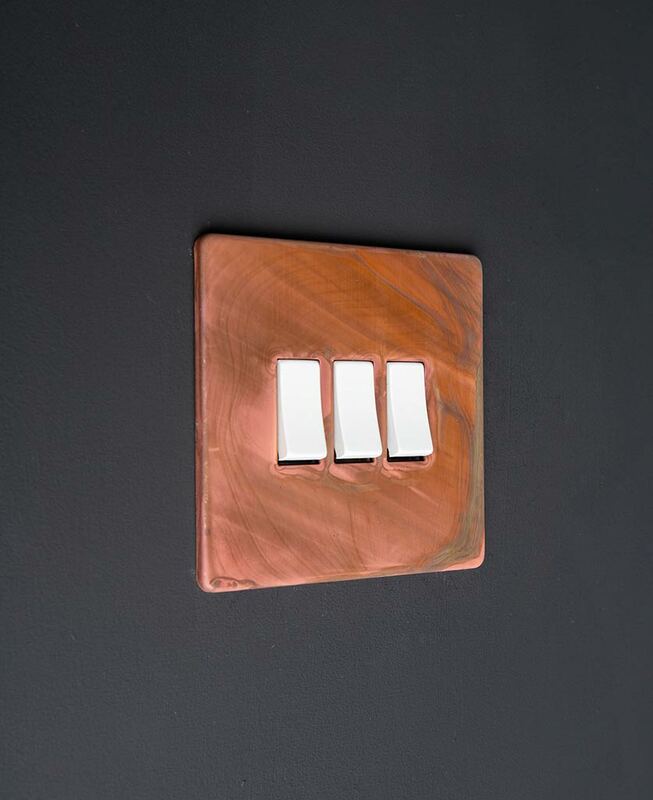 Show it off alongside our copper switches and sockets range to really make a statement. There’s nothing we love more than an authentically distressed finish, and our tarnished copper range is no exception. Each copper plate features eddying tones of navy, teal and grey, that drift across the surface to beautiful effect. What’s more, each one is finished by hand, making them all completely unique. 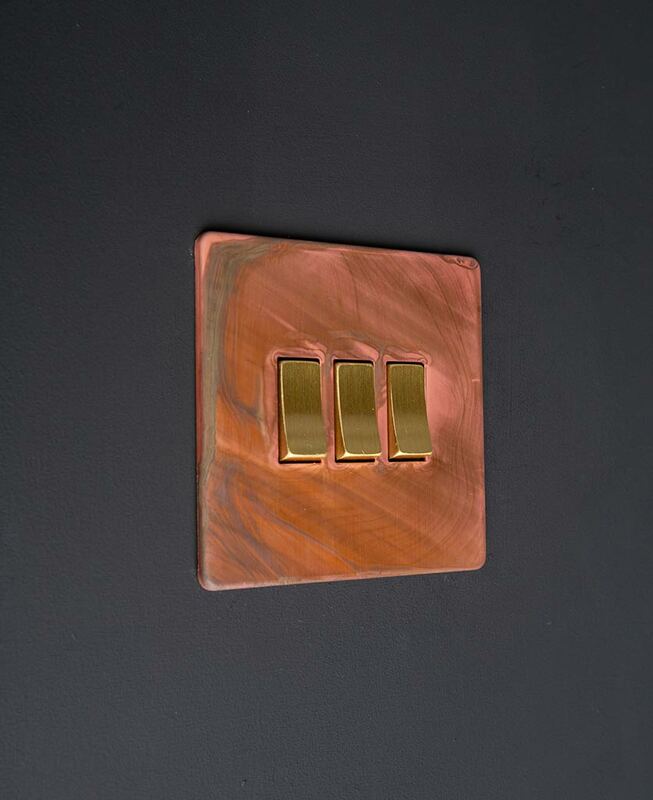 We love this tarnished copper rocker switch, the sleek switch detail contrasts the distressed copper wonderfully, adding a touch of elegance to an otherwise rugged switch. What’s more, we’ve also made the fittings concealed, for an uber-neat finish. Show off against matt white walls to rebel against your minimalist style. Alternatively, place upon darker hues of grey, navy and charcoal to accentuate the colours of the copper. 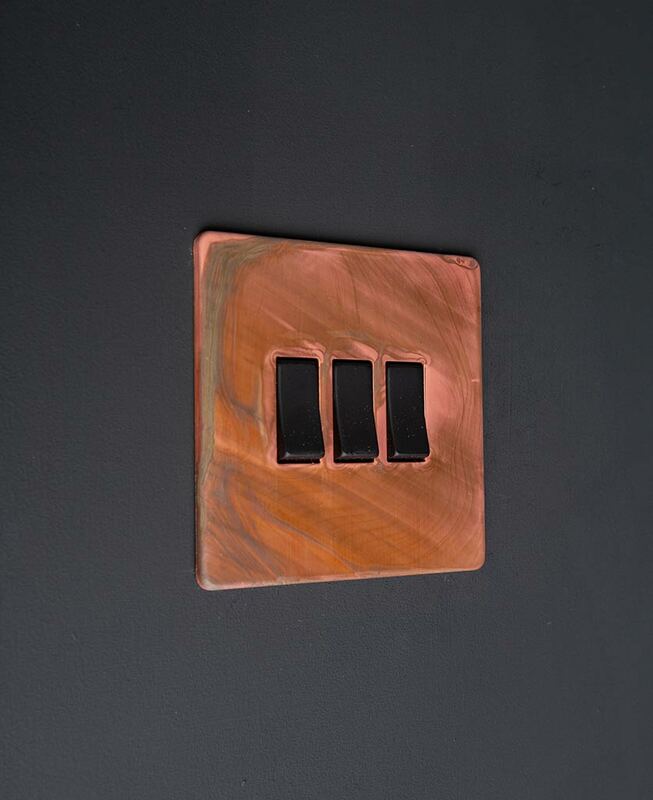 Designed exclusively here at D&R HQ, this triple rocker switch makes up part of our copper switches and sockets collection. A range of dimmers, toggles, appliance switches and data ports that have been created to coordinate perfectly with your interiors, all at an affordable price of course. Mix and match across the range to add a designer vibe to your interiors.